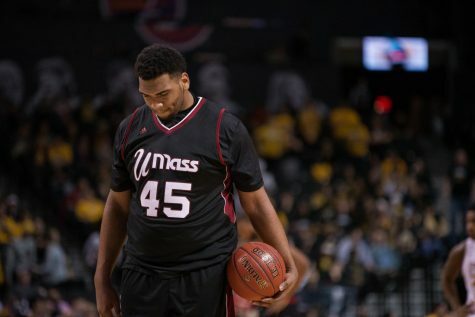 Much of the Massachusetts men’s basketball team’s stat line Sunday looked ugly, highlighted by a 1-for-19 start from the field, four technical fouls and 17 turnovers. 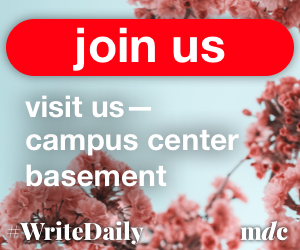 Yet, somehow, the Minutemen came out of Pittsburgh with a 108-99 overtime victory over Duquesne. 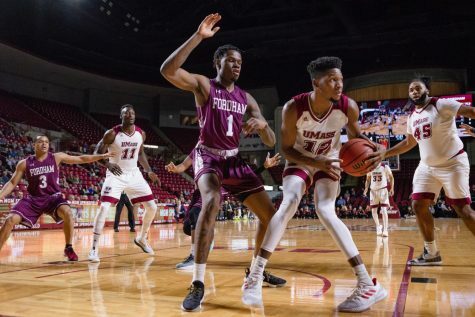 Despite a sluggish start, UMass (11-13, 4-8 Atlantic 10) finished with a season-high in points led by point guard Jabarie Hind’s career-best 37 points. Four Minutemen finished Sunday’s game with double figure points. 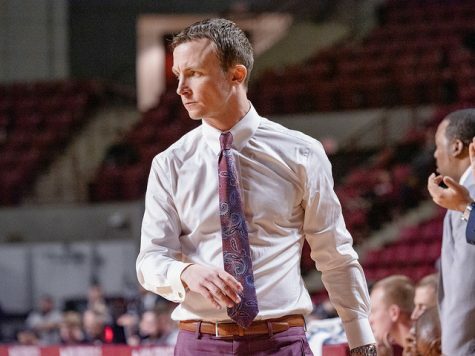 The Minutemen trailed by as much as 11 points in the second half Sunday, but UMass managed to keep the deficit within single digits as it traded baskets with the Dukes (15-10, 5-7 A-10) over the final 10 minutes of regulation. 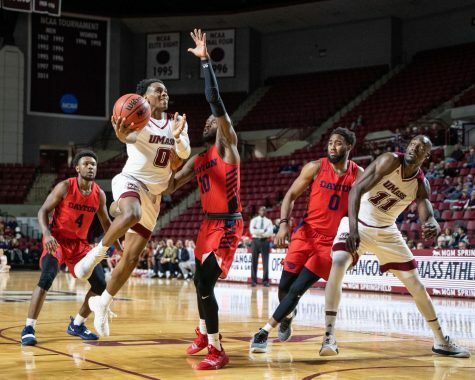 The Minutemen finally tied the game at 82 apiece on a Trey Davis 3-pointer with two minutes, one second remaining after Hinds made one of his seven for the day (7-of-8) on the previous possession. Trailing by two with 41 seconds left, Clark then hit two free throws to retie the game and send it to overtime. 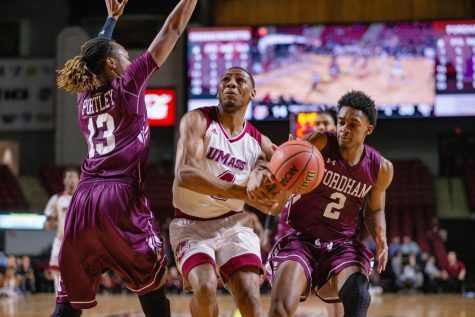 Heading into the extra period tied at 84, UMass quickly jumped in front behind five straight points from Donte Clark (17 points). 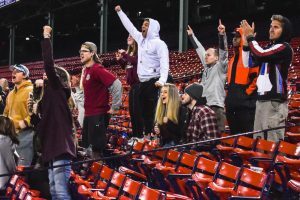 The Minutemen never trailed in overtime. 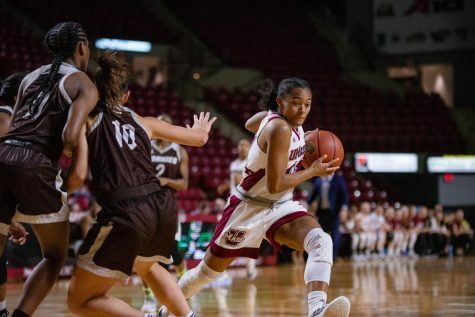 UMass started the game struggling mightily from the field, recording only a Clark 3-pointer over the first 8:36 of the first half, allowing Duquesne to build an early 15-3 advantage. 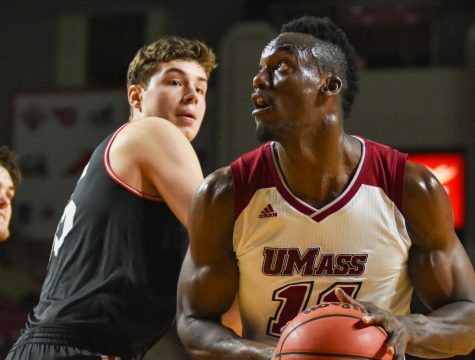 The Minutemen then went on an 11-0 run to close the gap but finished 12-of-38 from the field (32 percent) in the first half and trailed by as much as 13. 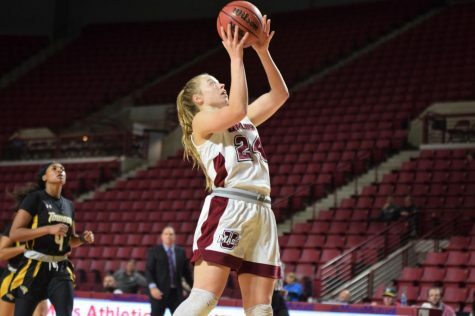 Kellogg said UMass’ comeback victory might have been the Minutemen’s biggest win of the season so far – coming off an upset victory over Virginia Commonwealth this past Thursday. 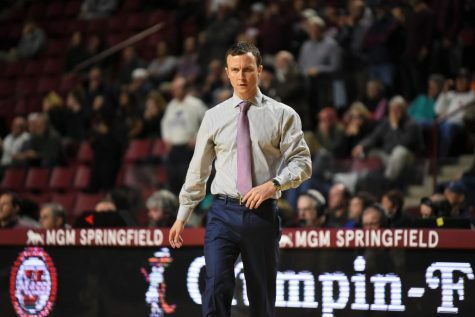 He added that once UMass’ shots started falling out of the break, he was confident the fast pace of the game would allow it to get back in the game. 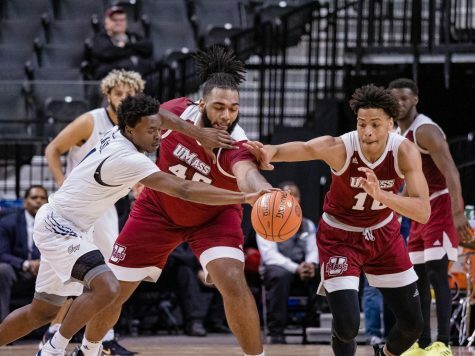 He added that seeing Hinds’ career day, following an 18-point outing against VCU, was a positive sign moving forward as the senior tries to continue to play at the same level he did over UMass’ first six games of the season when he averaged 20 points per game.